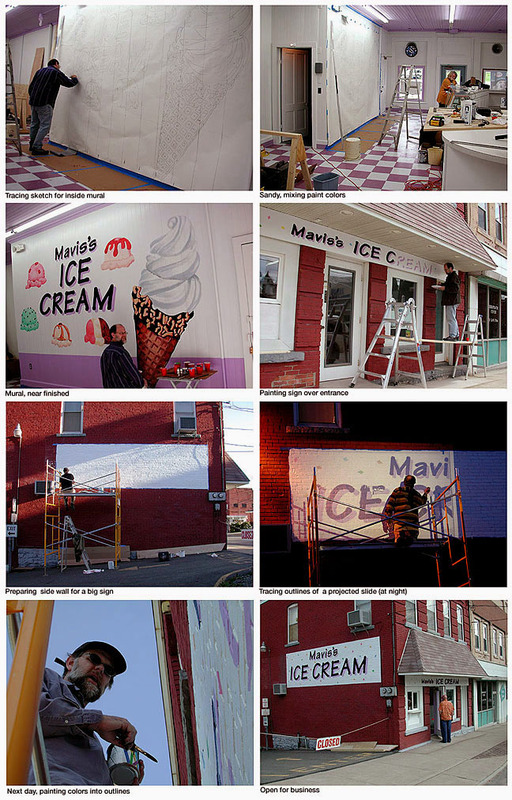 A small storefront had been purchased and Mike was hired to create signage and a big wall graphic for inside. The theme? Ice Cream! !